Microsoft's Garage team offers another Android tool aimed at making our lives easier. No matter how big or powerful our phones get they all seem to have the same problem: copying text is a pain. 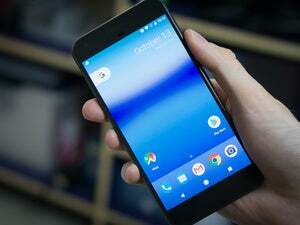 From the tiny little handles to the menu that may or may not pop up, nothing about it is fun or easy, and with each passing release of Android it never seems to get any better. 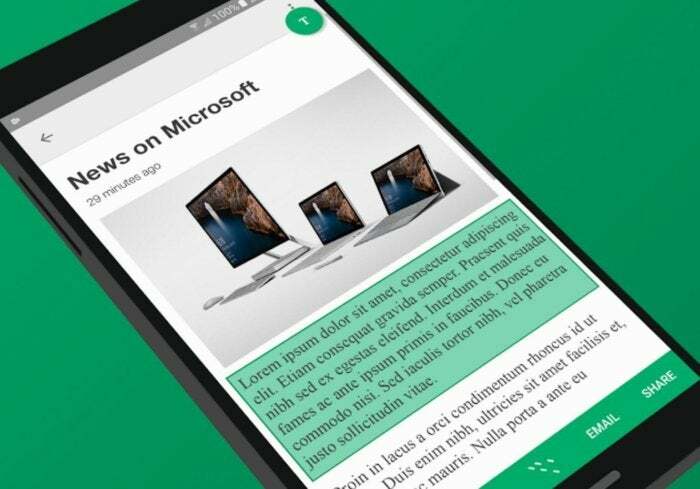 Microsoft’s Garage, the enterprising team that brought us Hub Keyboard and Arrow Launcher, has built a better text trap. Called Clip Layer, it’s less an app and more of an assistant dedicated to snipping bits of text you want to move and share. 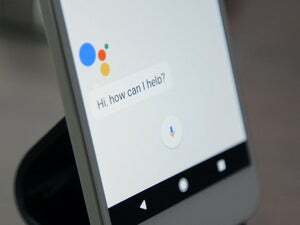 In fact, to get it to work you’ll need to kick Google’s Assistant out of its prime location (which may pose a problem for Pixel owners, but the rest of us probably won’t miss it). After downloading Microsoft's Clip Layer, head over to Settings to install it. Open the Apps menu, tap the gear icon in top right, then Assist & voice input, Assist app, and change the default from Google App to Clip Layer. Microsoft's Clip Layer in action. Then you’ll only need to long-press the home button when you find a bit of text you want to store. Clip Layer will then scan the screen and place boxes around the various blocks of text it sees, whether or not it’s something that can normally be copied. Select the one you want (you can check its accuracy by tapping the T in the upper right corner) and choose whether you want to copy, share or save it to Wunderlist. Since Clip Layer isn’t a true clipboard manager, it’s most useful in the moment—and there were times during my brief testing when it missed the mark pretty bad—but it’s definitely a cool spin on the usual clunky method. Why this matters: Clip Layer is a perfect example of why we love Android so much. 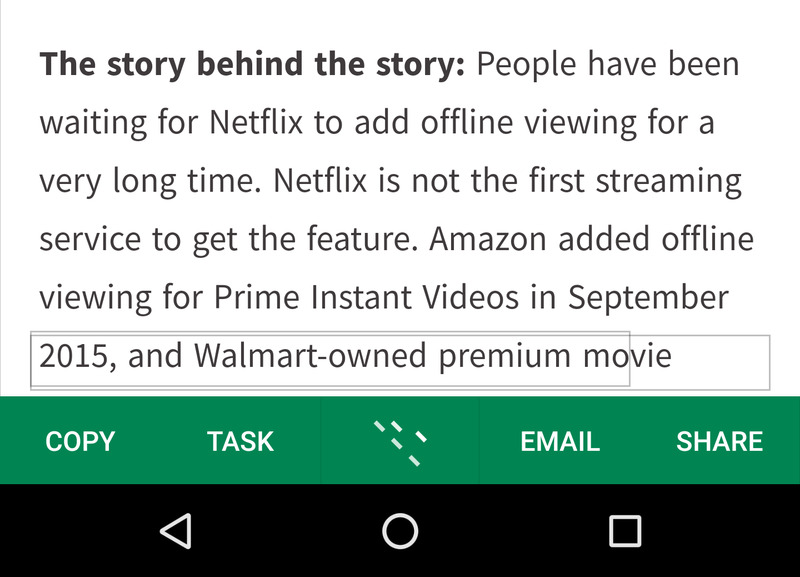 It’s not just that Microsoft has created a better way to copy text; if it wasn’t accessible in such an easy way Clip Layer wouldn’t be nearly as useful. Even though it might not be perfect, the ability to make and implement an outside-the-box tool like this is one of Android’s greatest strengths. This story, "Microsoft takes the pain out of copying on Android with Clip Layer" was originally published by Greenbot.